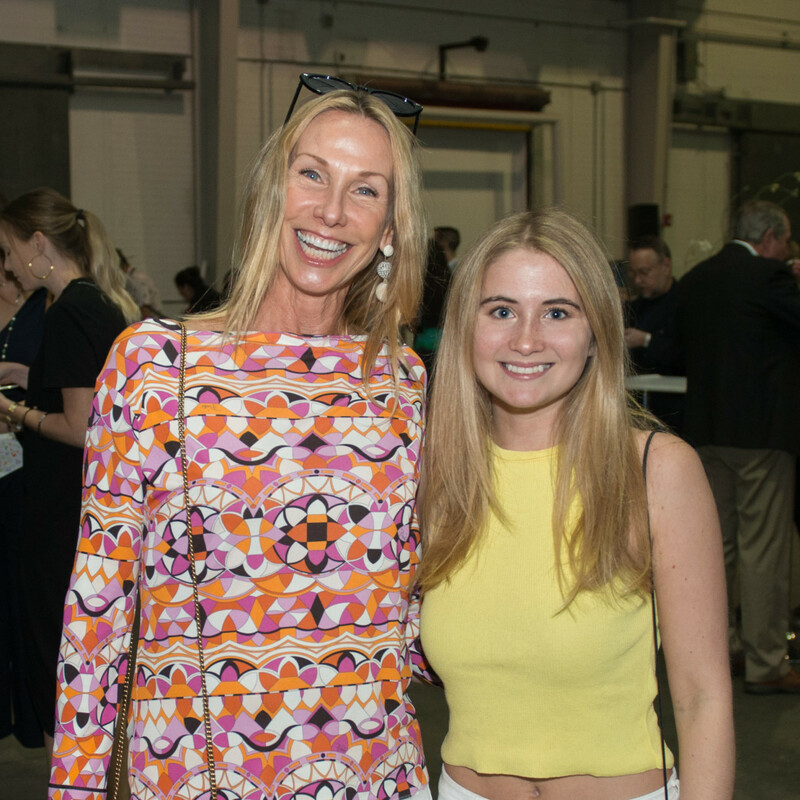 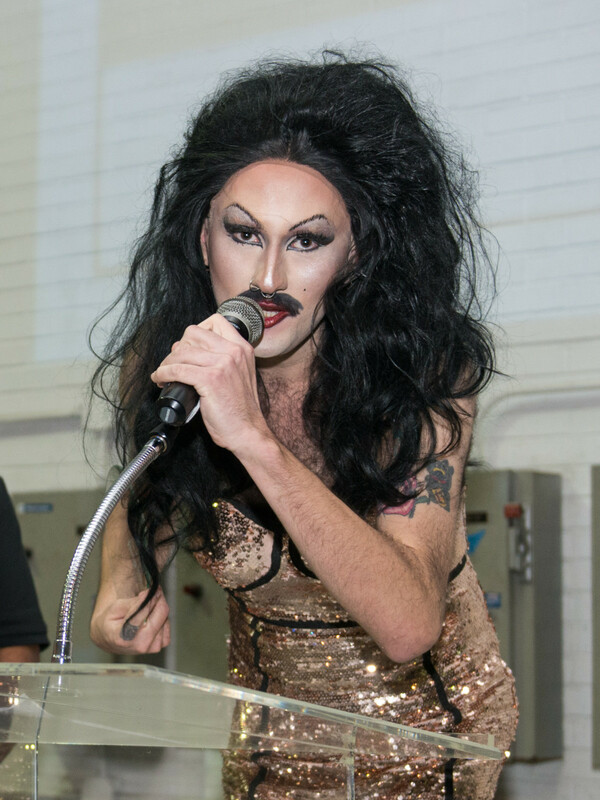 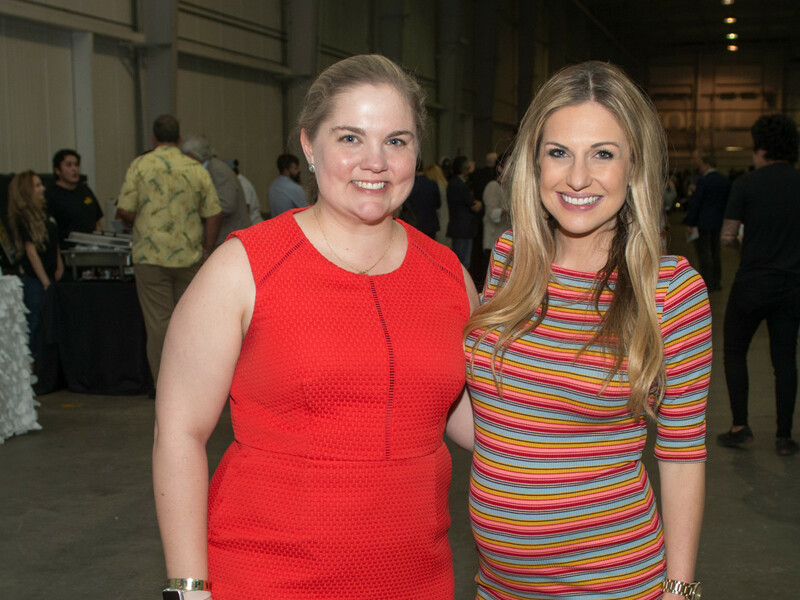 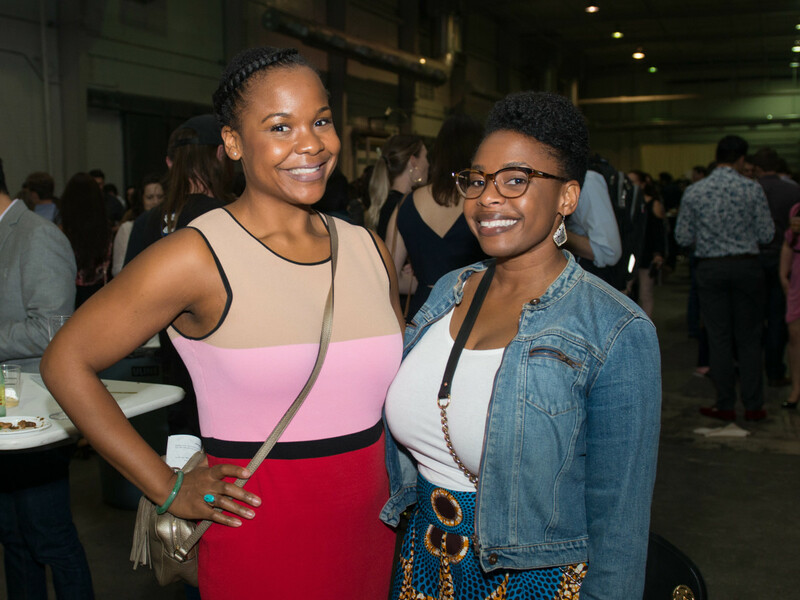 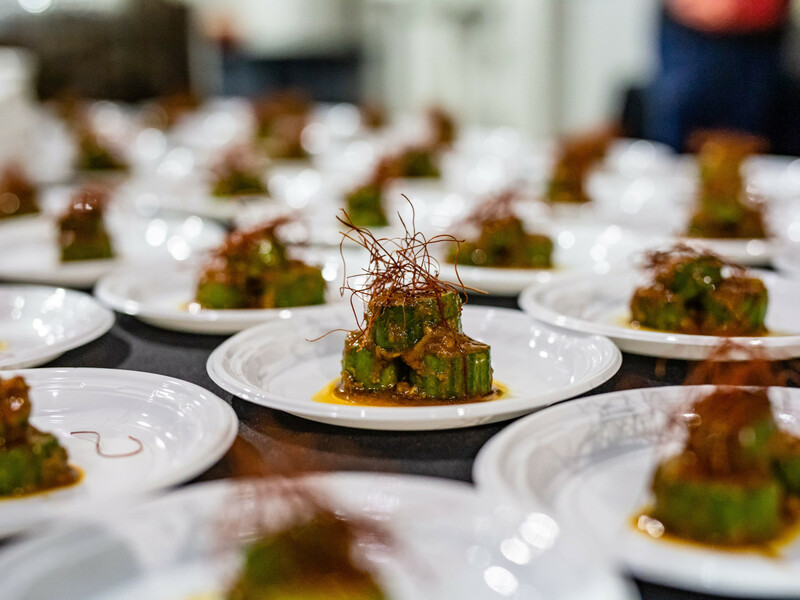 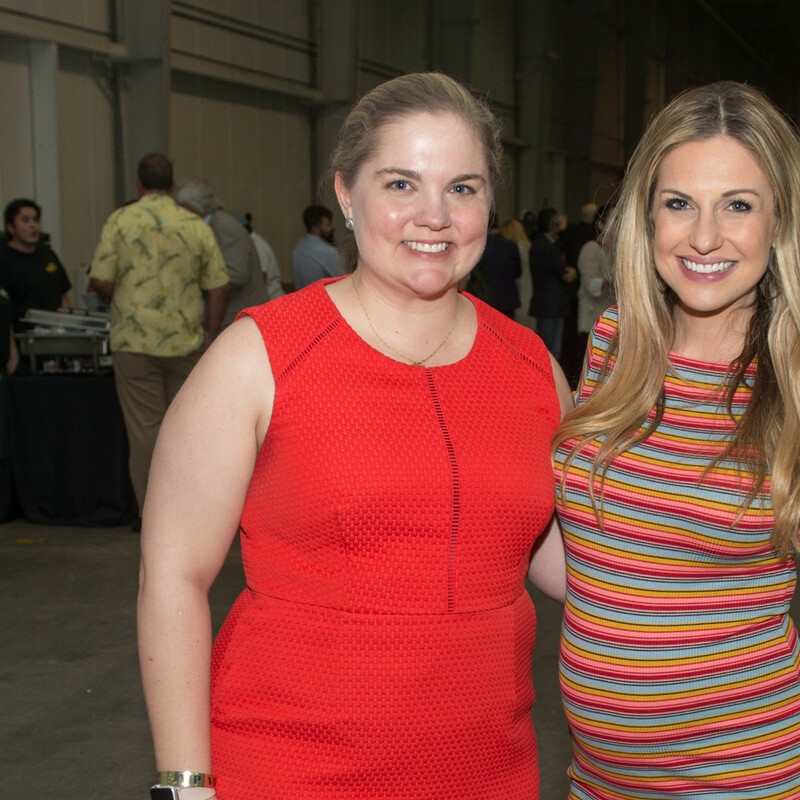 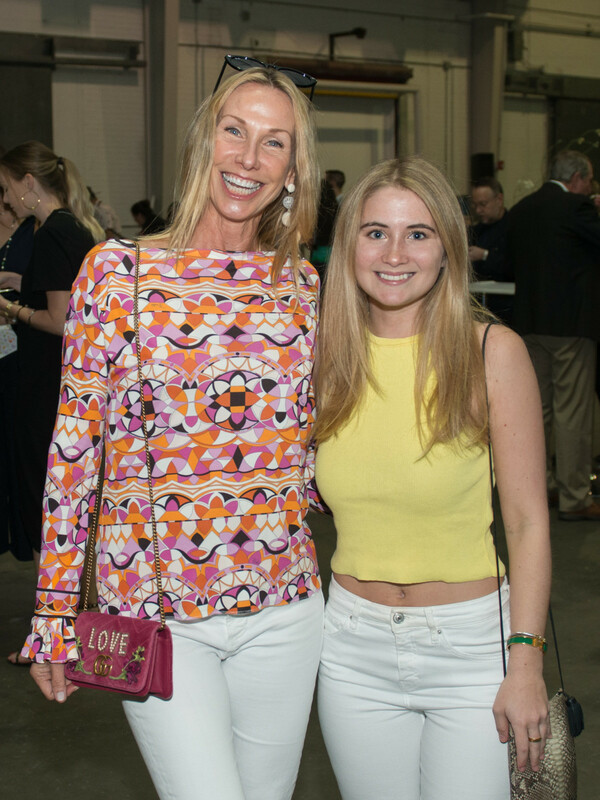 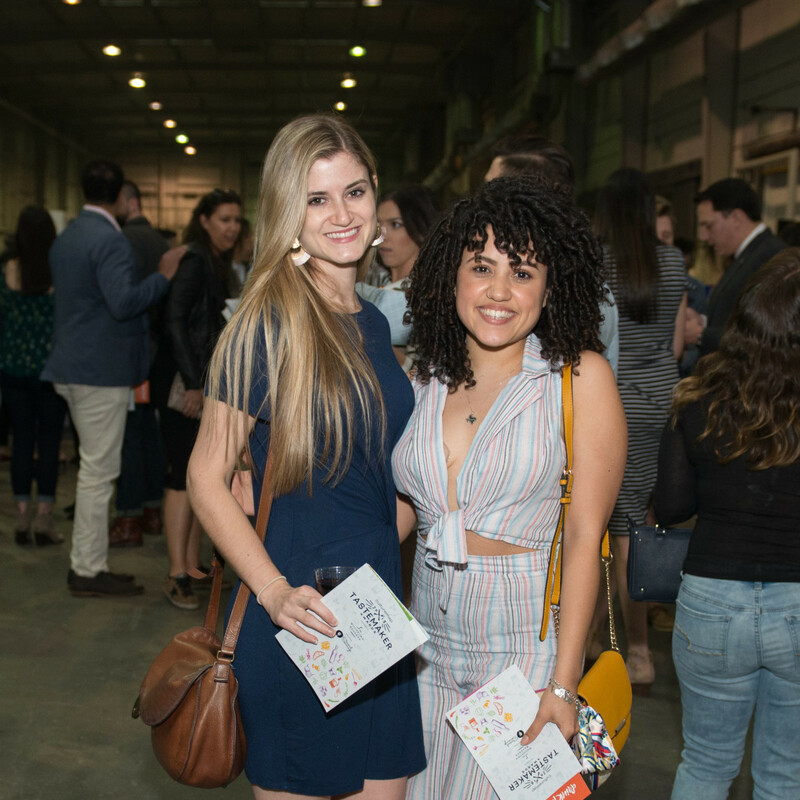 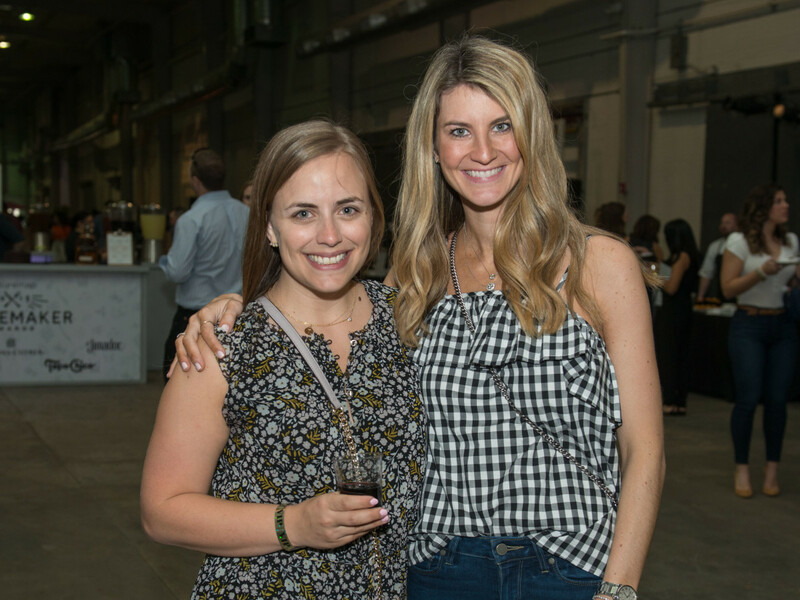 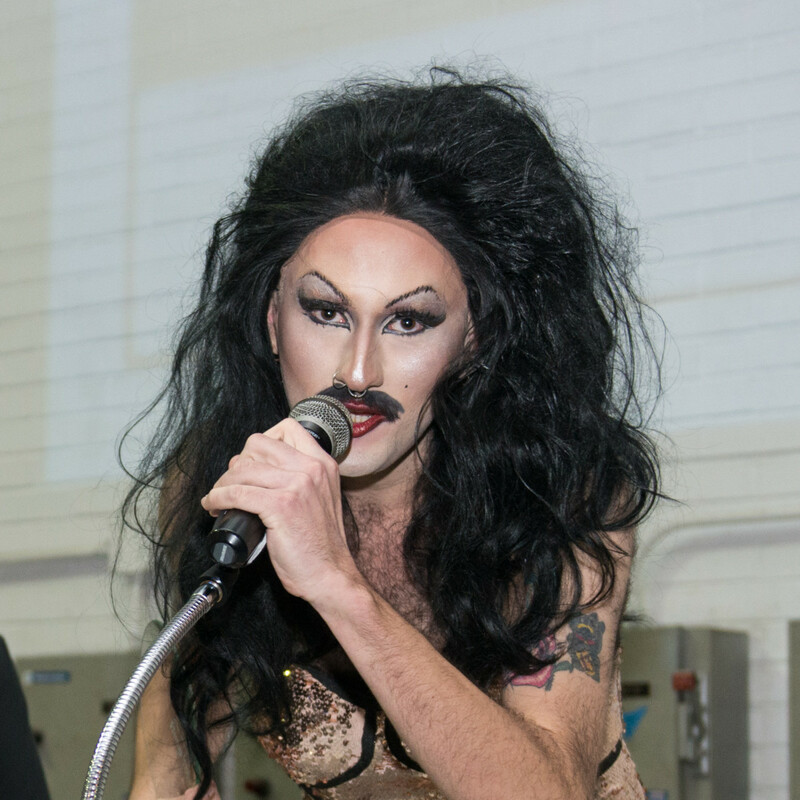 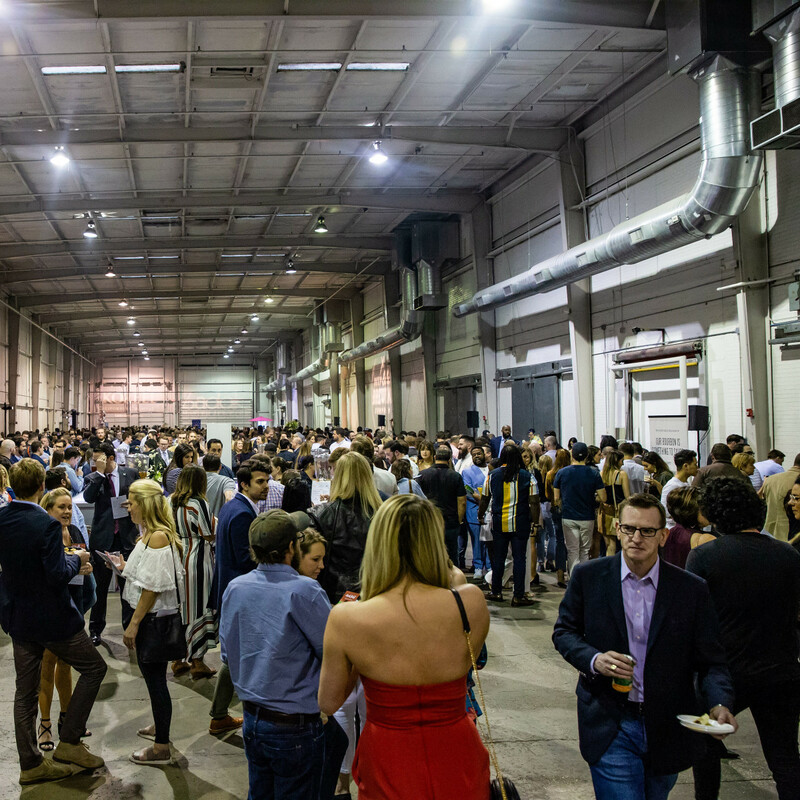 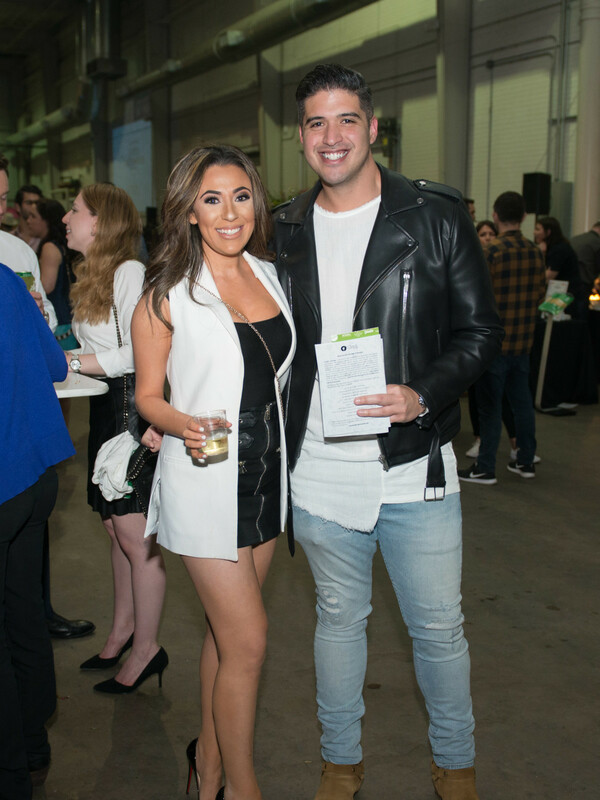 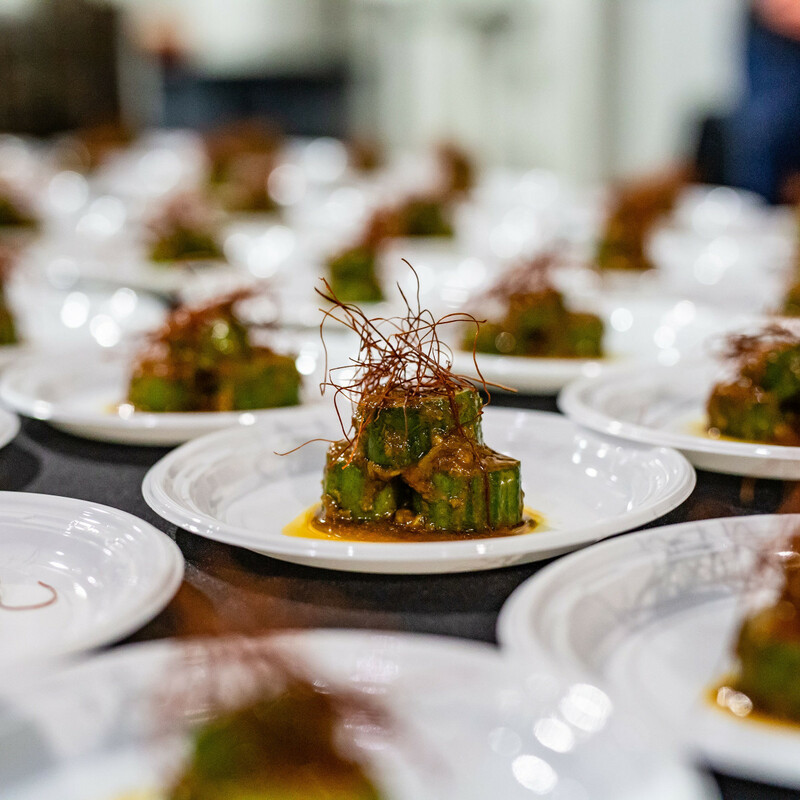 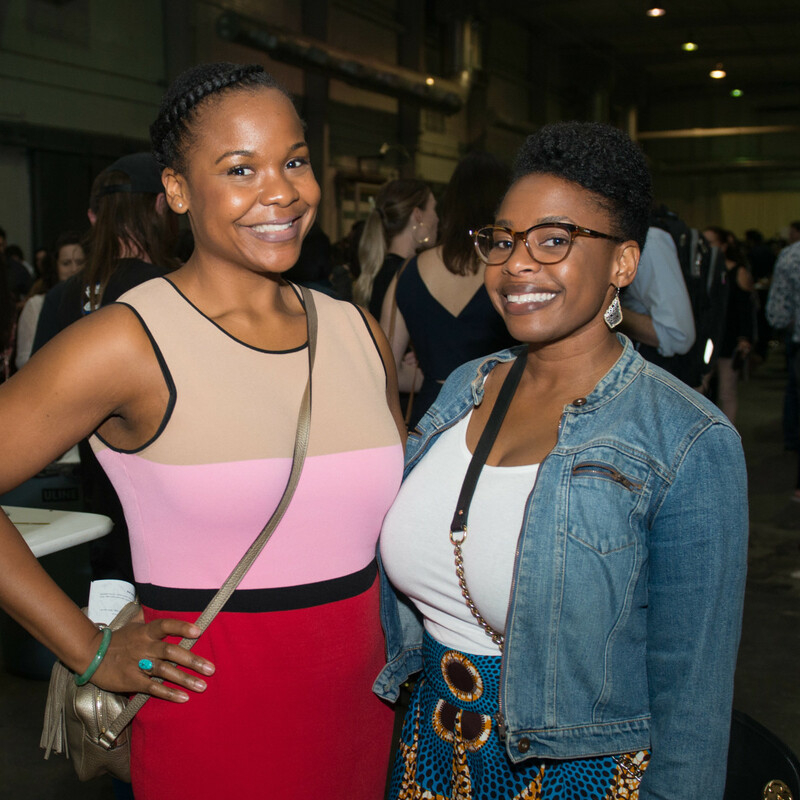 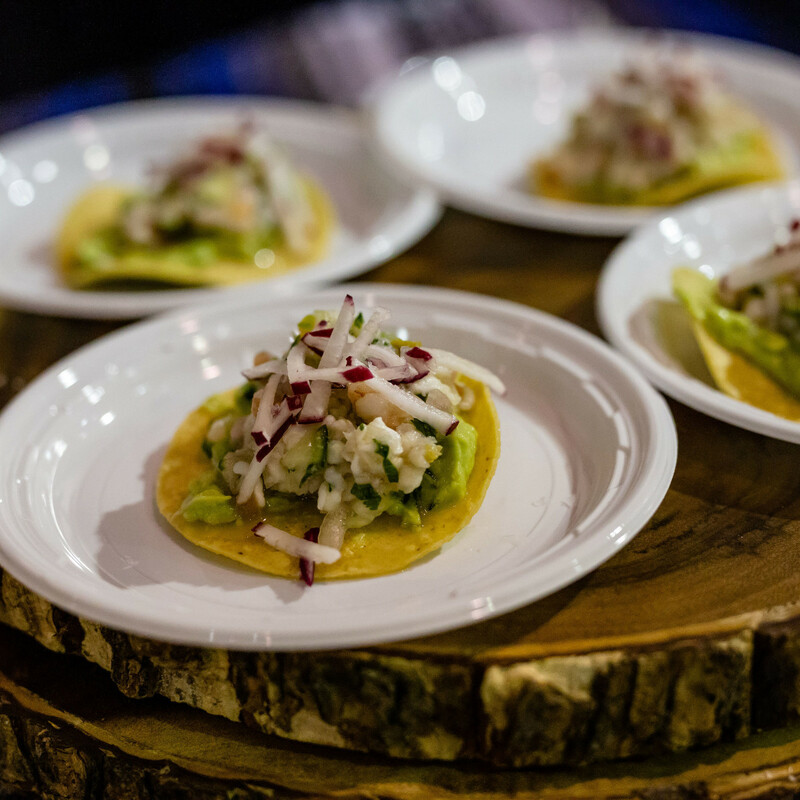 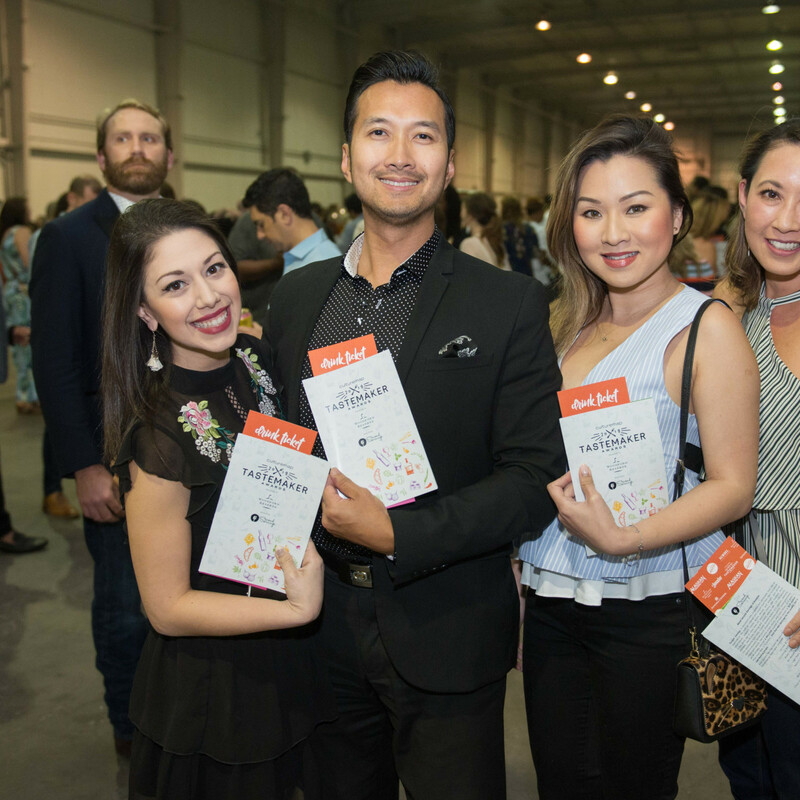 A festive crowd of more than 1,000 of Houston’s most influential restaurant, bar, and hospitality leaders — mixed with passionate fans — packed Silver Street Studios for CultureMap’s Tastemaker Awards on March 27. 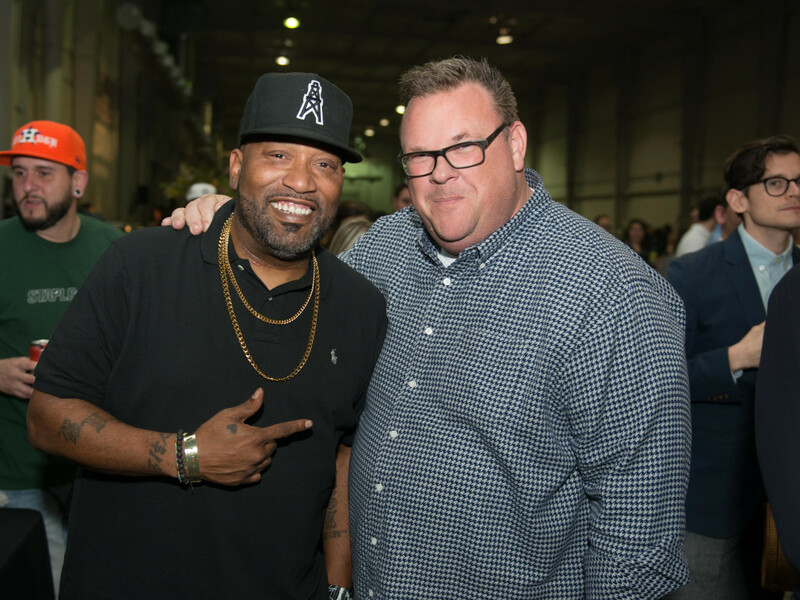 Houston rap legend and the night’s emcee Bun B, along with CultureMap food editor Eric Sandler, welcomed the crowd, many of whom made a beeline to the private, VIP lounge where they noshed on a delectable, three-course offering from B.B.Lemon paired with Woodford Reserve bourbon and rye. 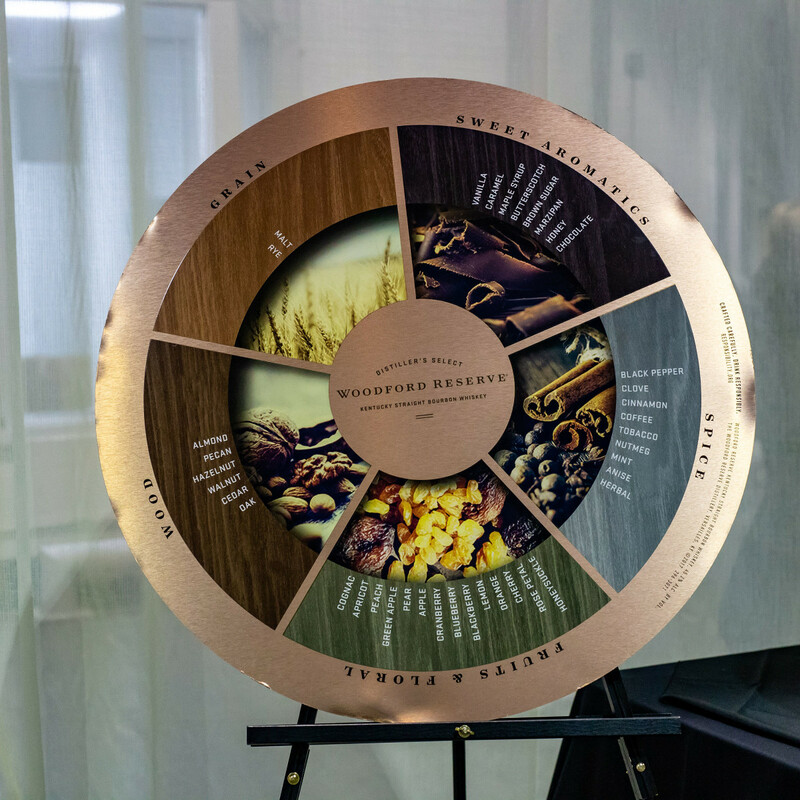 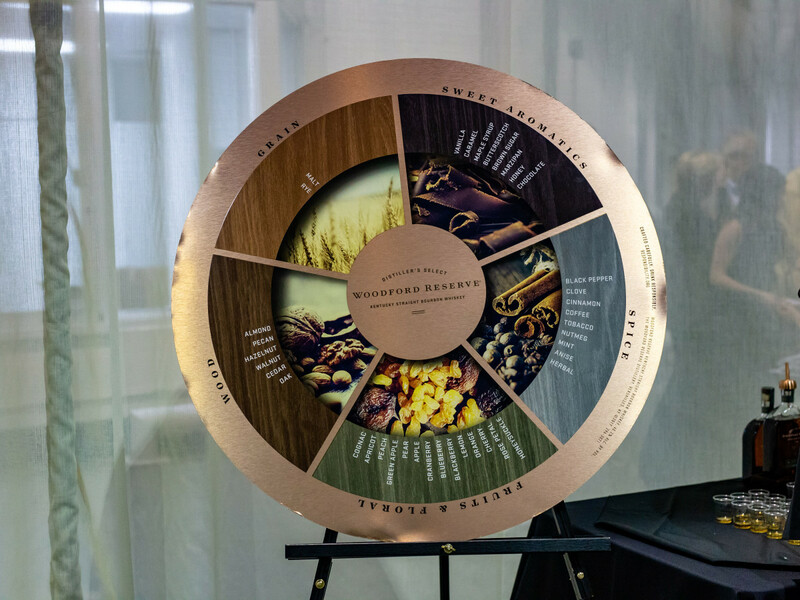 Woodford Reserve also featured a flavor wheel tasting for guests to experience unique flavors of Woodford bourbons, with pairings of chocolate, nuts and cheese. 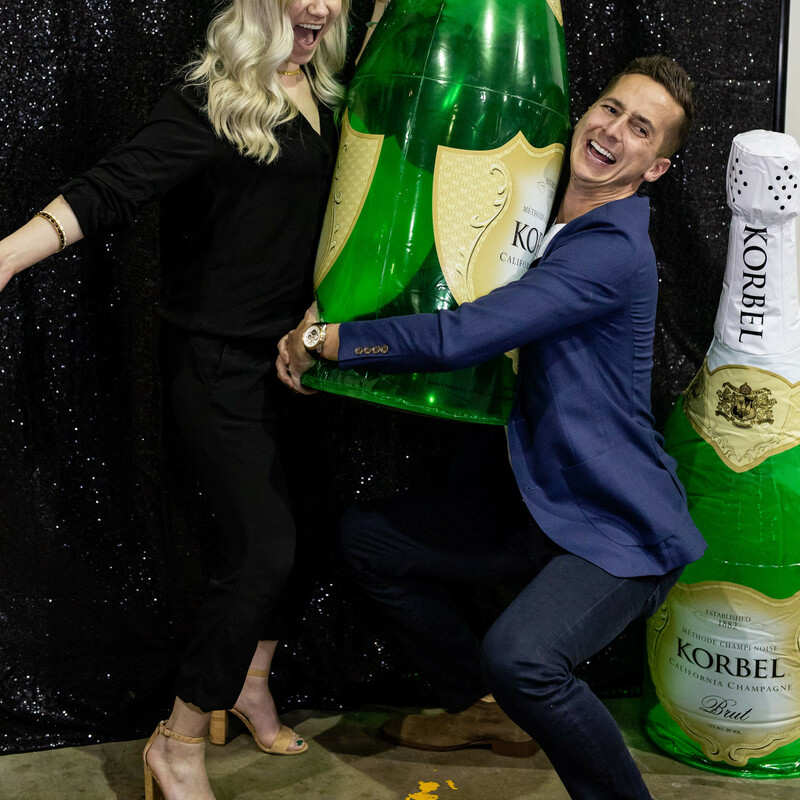 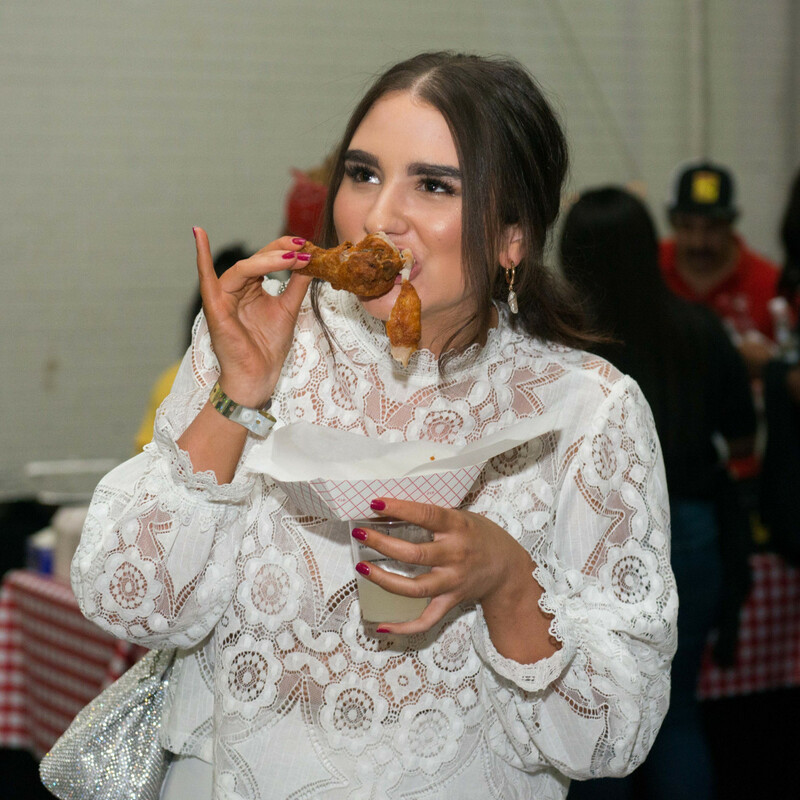 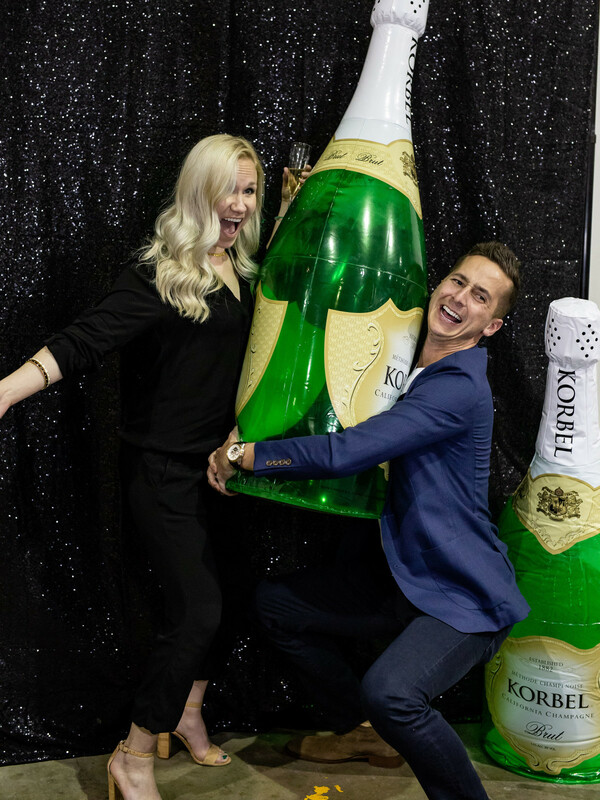 While DJ FREDster spun lively beats, partiers snapped silly selfies at a photo booth from PICPIC and made for the beer bar, courtesy of Alaskan Brewing Company and Deep Ellum Brewing Company. 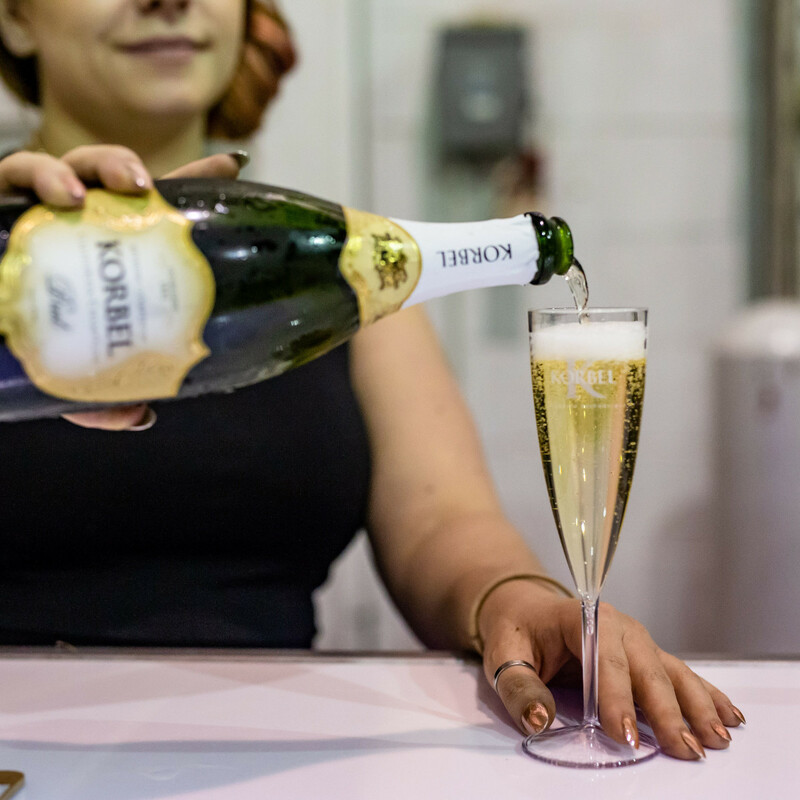 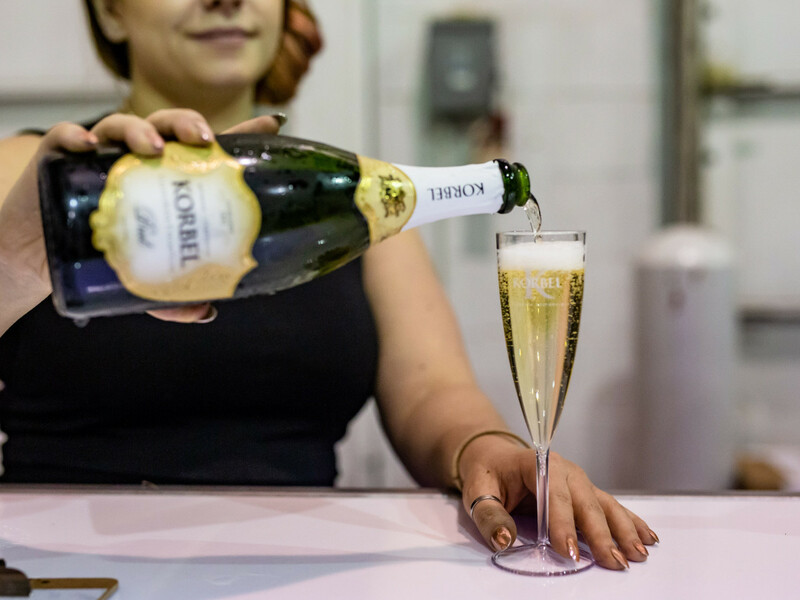 Lines formed quickly for bubbly and rosé from Korbel, and cocktails such as a Woodford Reserve Old Fashioned, a Woodford Reserve Texatucky Tea, Woodford Reserve Spire, and an El Jimador margarita. 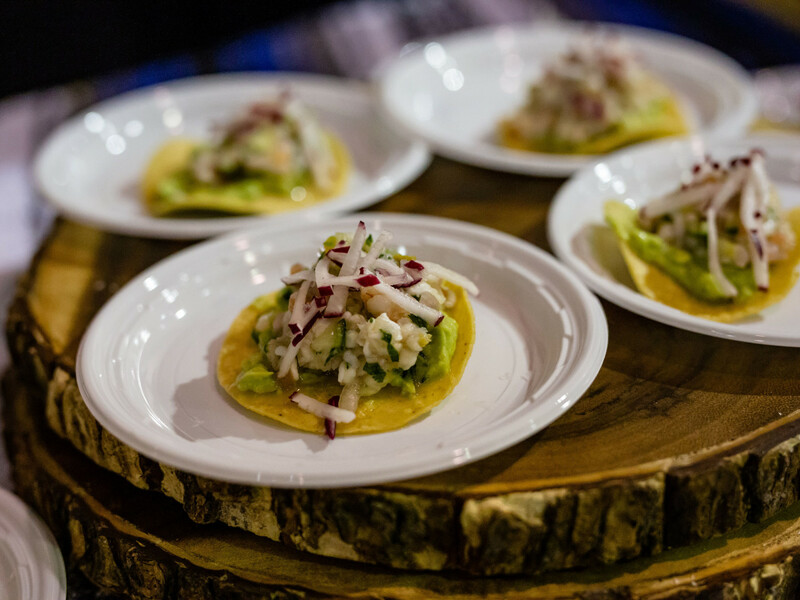 Guests also imbibed on wines from Sonoma Cutrer and beer from Cigar City Brewing Co.
And the food? 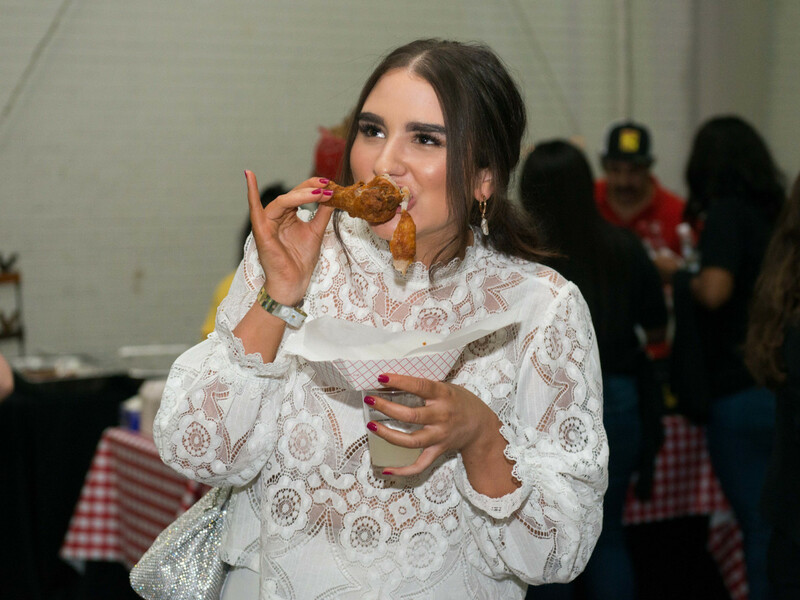 The city’s most insider and A-list food event featured delicious samplings from some of the hottest eateries in Houston: Bernie’s Burger Bus, Buffburger, burger-chan, Eunice, Field & Tides, Gus’s Fried Chicken, Himalaya, International Smoke, Killen’s TMX, Kulture, Les Noo’dle, Nobie’s, Poitín, Riel, Rodeo Goat, Superica, The Dunlay, The Pit Room, Tris, and Wooster’s Garden. 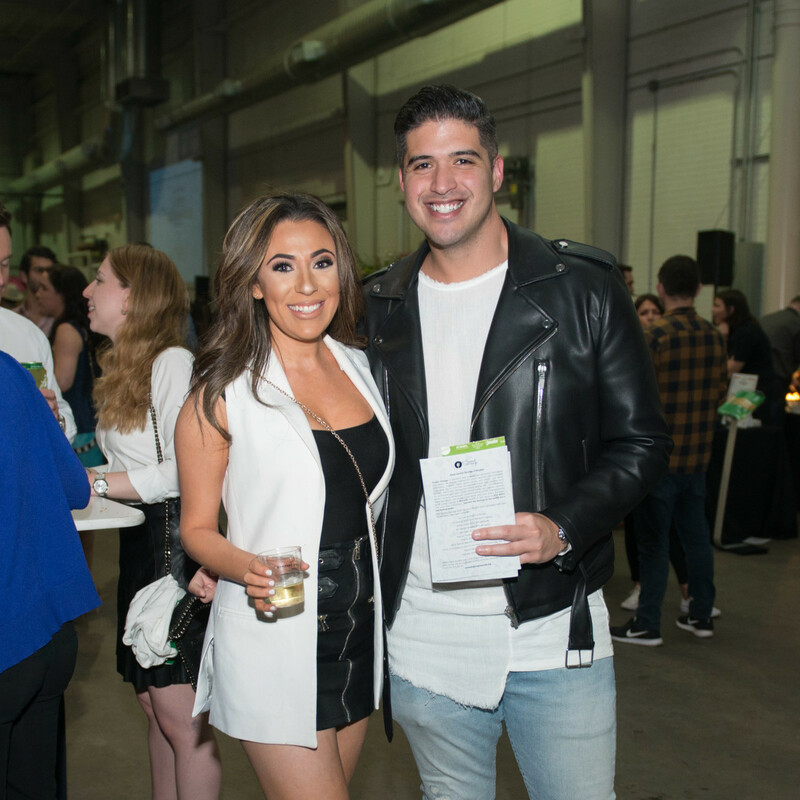 Dessert came courtesy of a Sweet Suite, sponsored by Zadok Jewelers, with offerings that included a root beer float with Kahlua ice cream and hard root beer from Sweet Bribery; an assortment of macarons and bon bons from Maison Pucha; all-natural popsicles from KICPOPS; doughnuts from Morningstar; treats from Sugarfina, and coffee and espresso from coffee purveyor, Greenway Coffee. 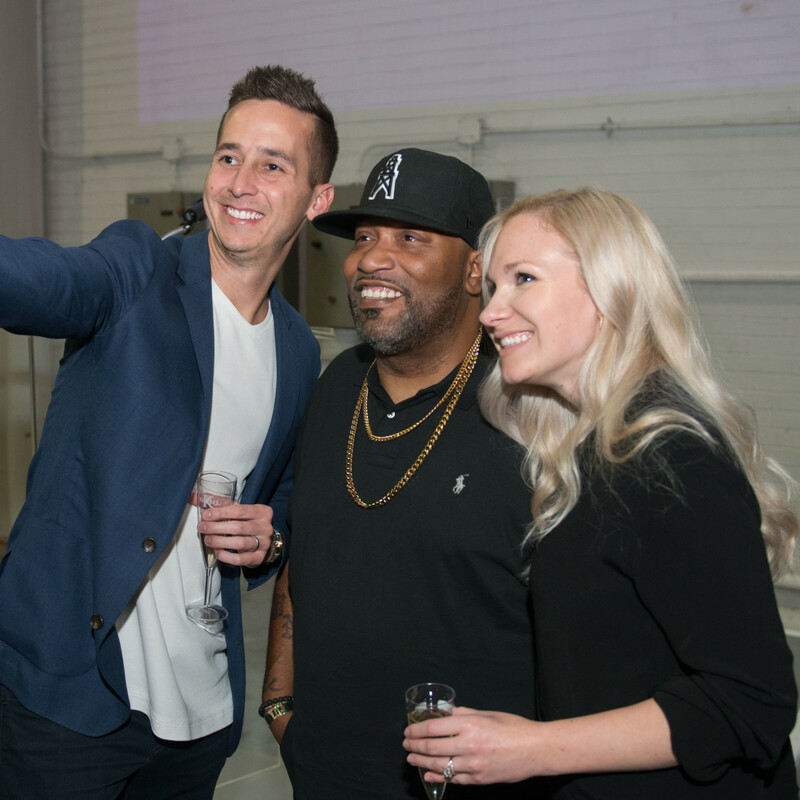 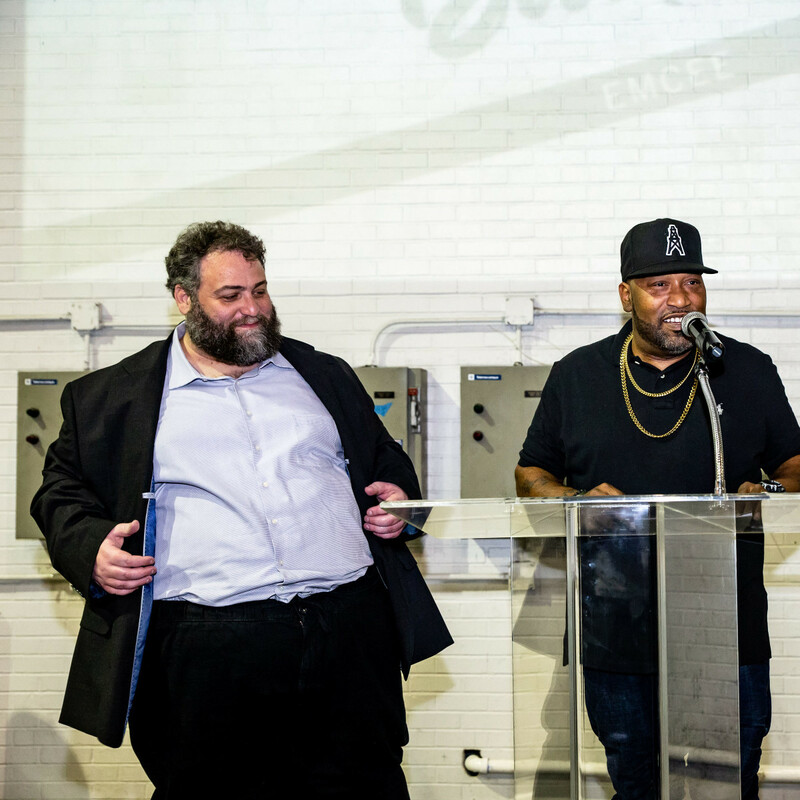 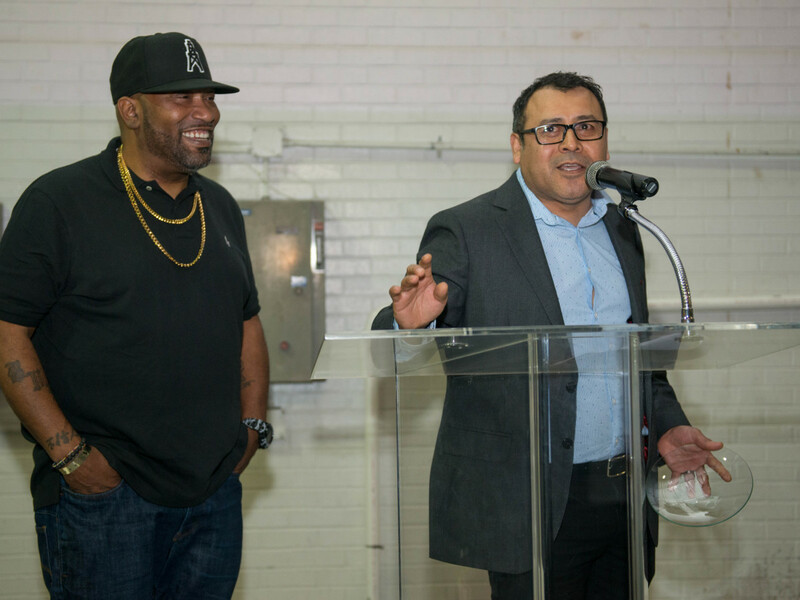 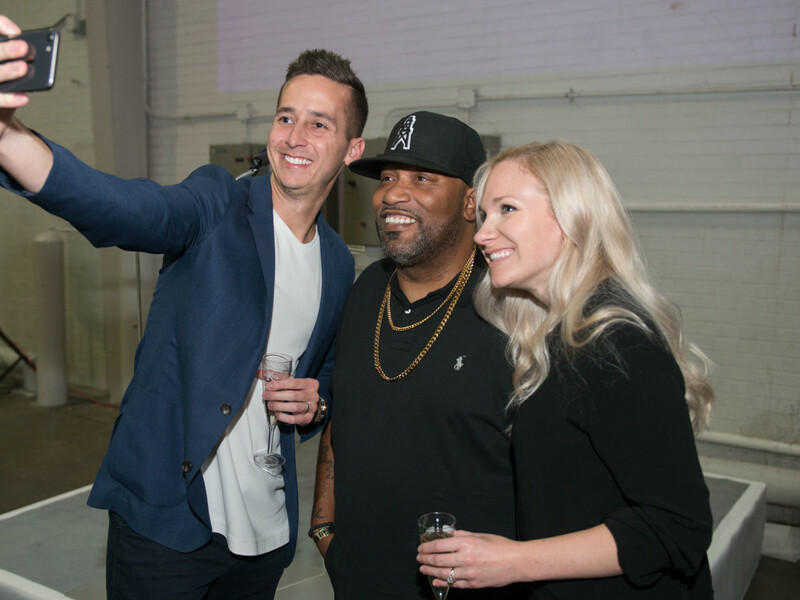 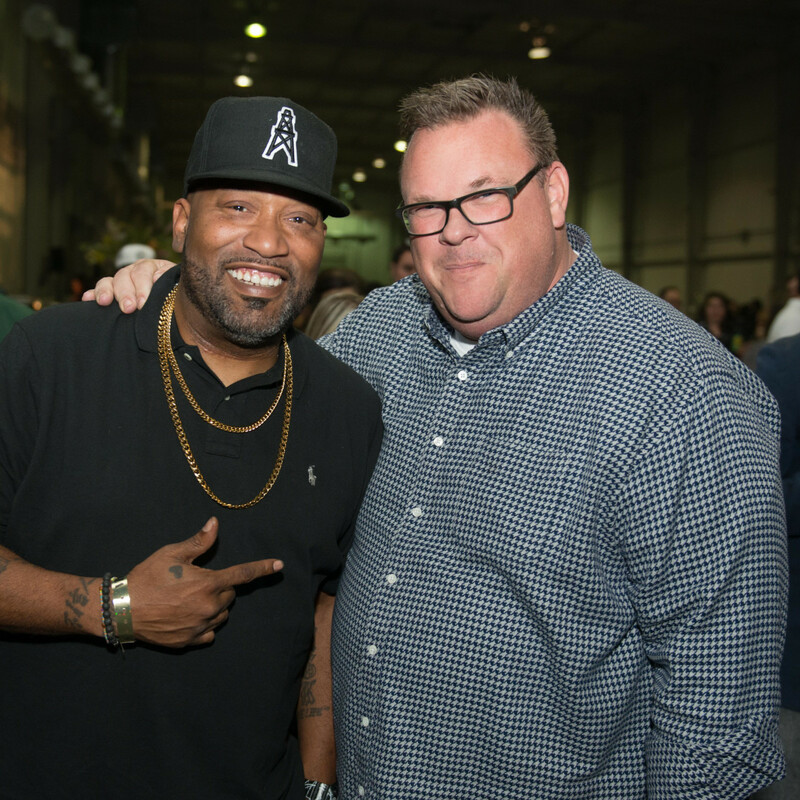 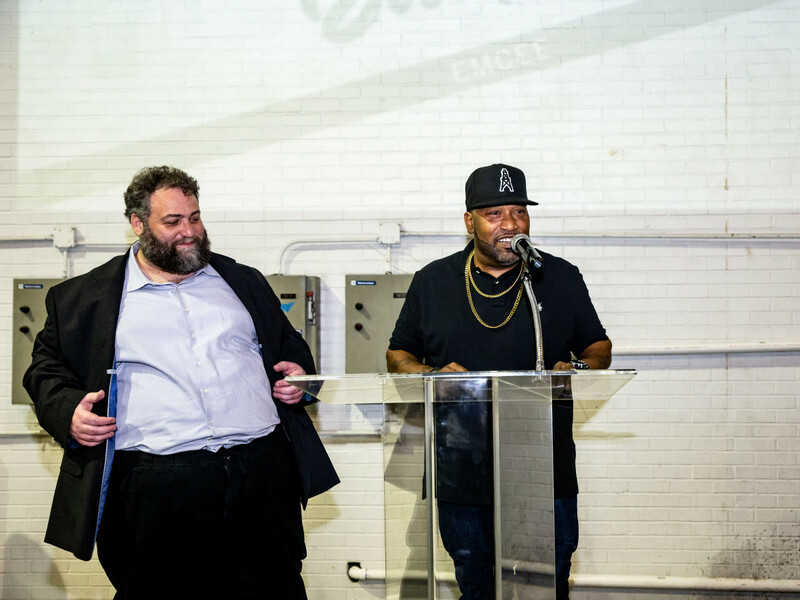 For the main event, Sandler and Bun B revved up the crowd with the list of nominees, including Brewery of the Year, Neighborhood Restaurant of the Year, Bar of the Year, and the hotly anticipated Chef of the Year and Restaurant of the Year. 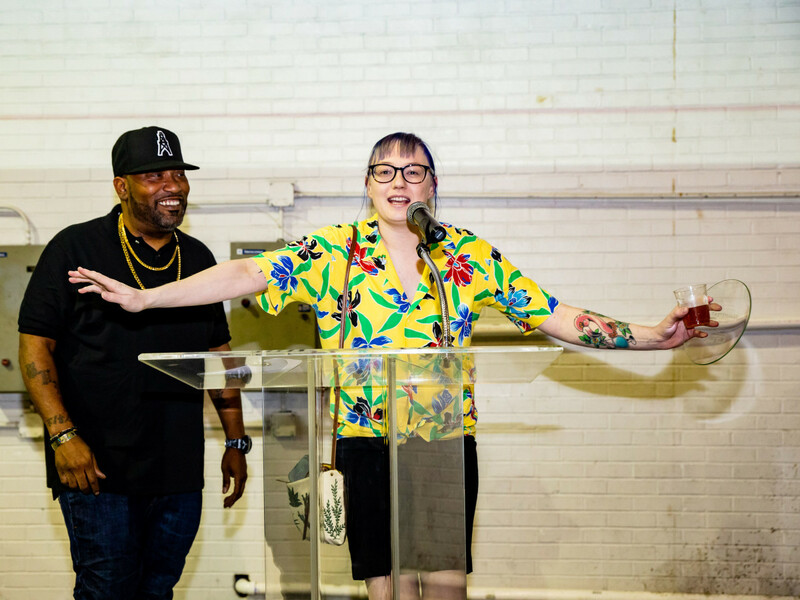 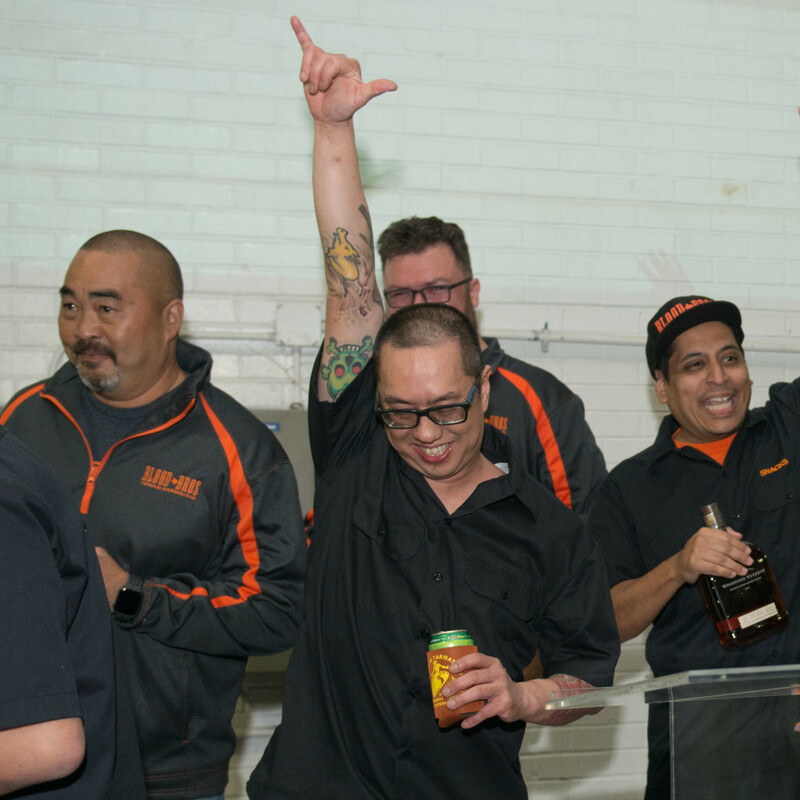 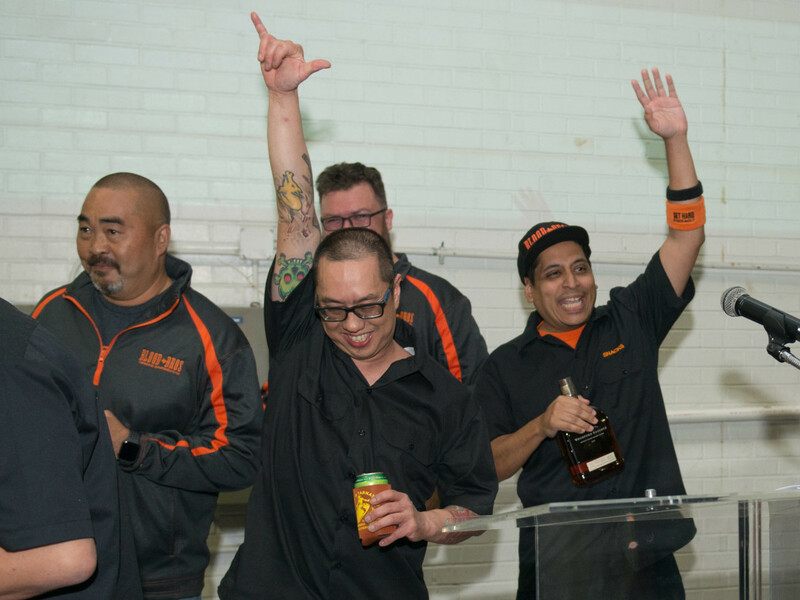 The awards were determined by Sandler, and a group of insiders and former Tastemaker winners: Alex Negranza (2018 Bartender of the Year), Casey Motes (2018 Brewery of the Year — Eureka Heights), Chris Shepherd (2018 Chef of the Year), Jason Vaughn (2018 Rising Star Chef of the Year), Jean-Phillipe Gaston (2018 Poke of the Year — Izakaya), Jillian Bartolome (2018 Pastry Chef of the Year), Justin Yu (2018 Bar of the Year — Better Luck Tomorrow), Paul Petronella (2018 Neighborhood Restaurant of the Year — Paulie’s), Tracy Vaught (2018 Restaurant of the Year — Xochi), and Travis Lenig (2018 Best New Restaurant — Field & Tides). 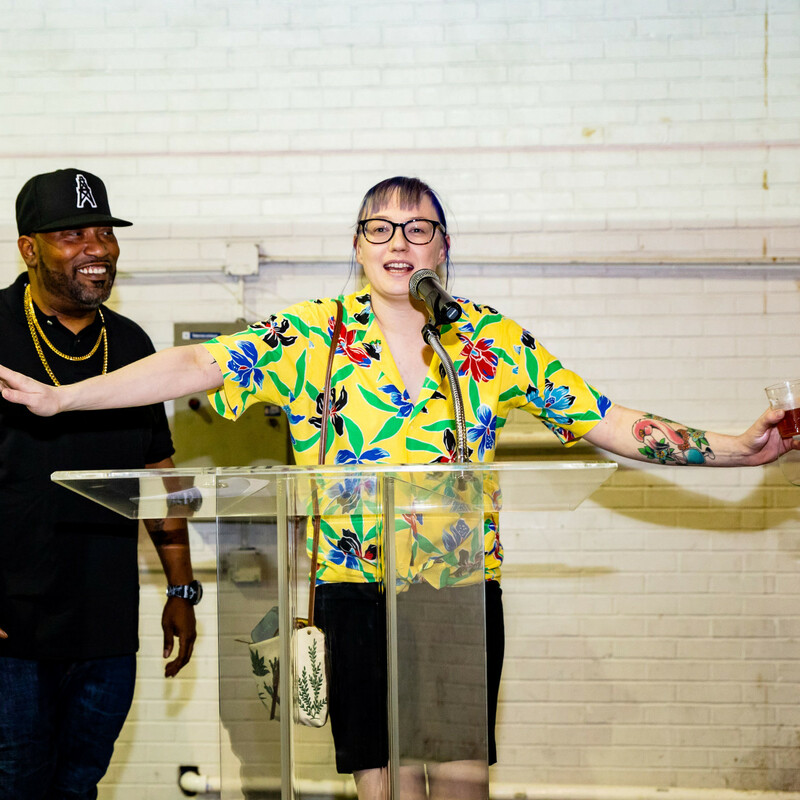 Much like the Academy Awards’ buzz builds around Best Actress and Best Picture, the Tastemaker Awards anticipation builds around the Chef of the Year and Restaurant of the Year categories. 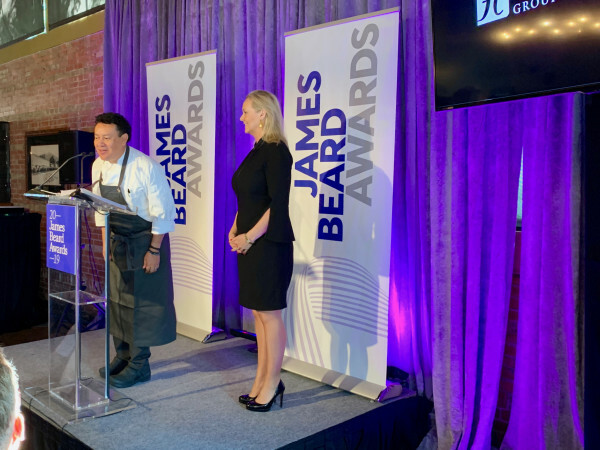 Chef of the Year honors went to Manabu Horiuchi of Kata Robata. 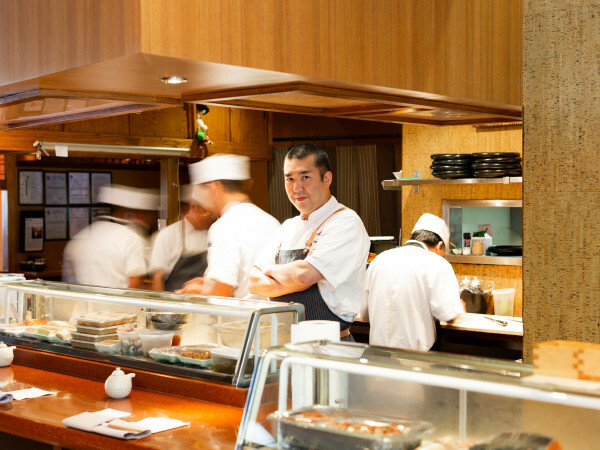 “Hori-san,” as he is respectfully known, displayed trademark humility, thanking everyone for “this wonderful” award. 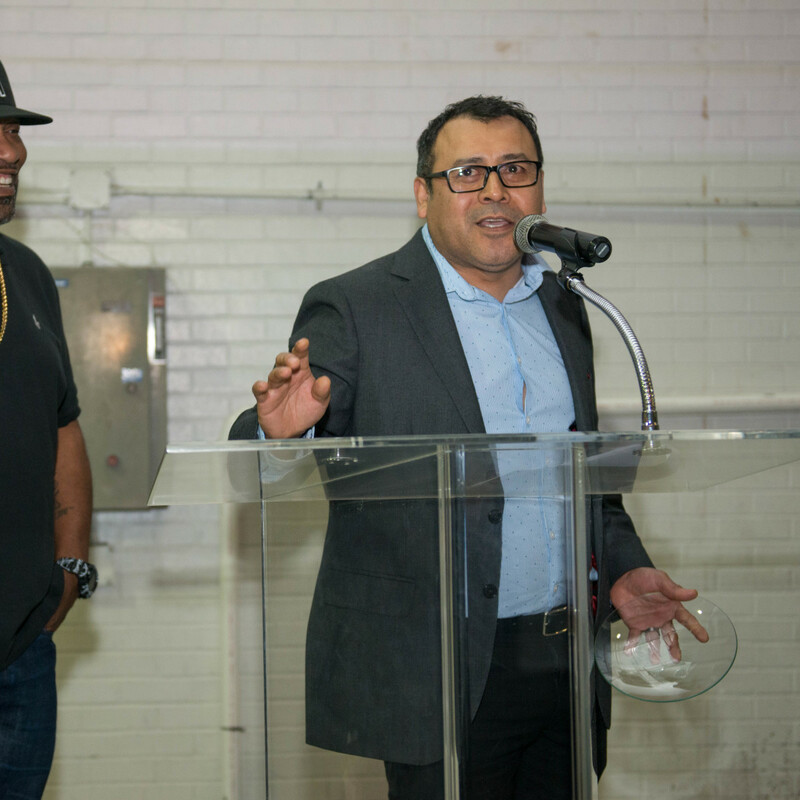 “Thank you to my staff and my family for this honor,” he said gratefully. 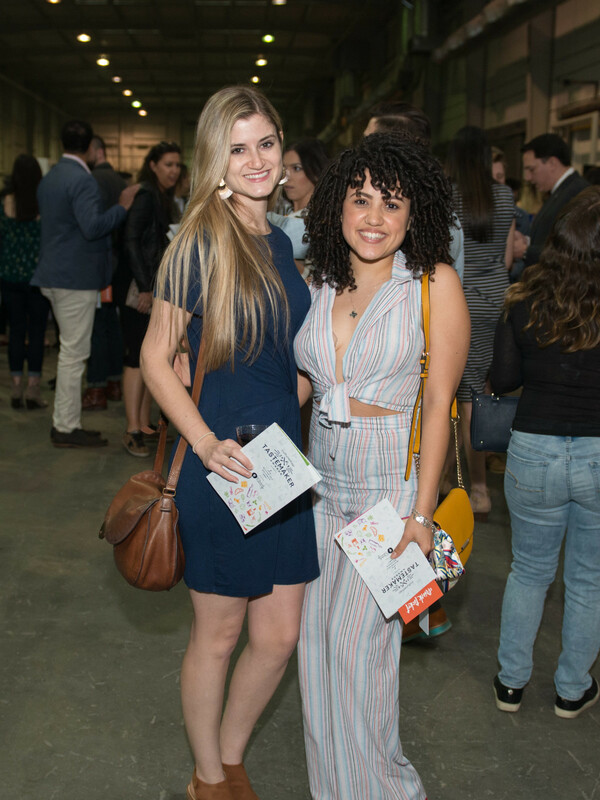 The fun didn’t stop there: All nominees and guests were invited to Poitín for an after party with food, drinks, music, and post-award festivities. 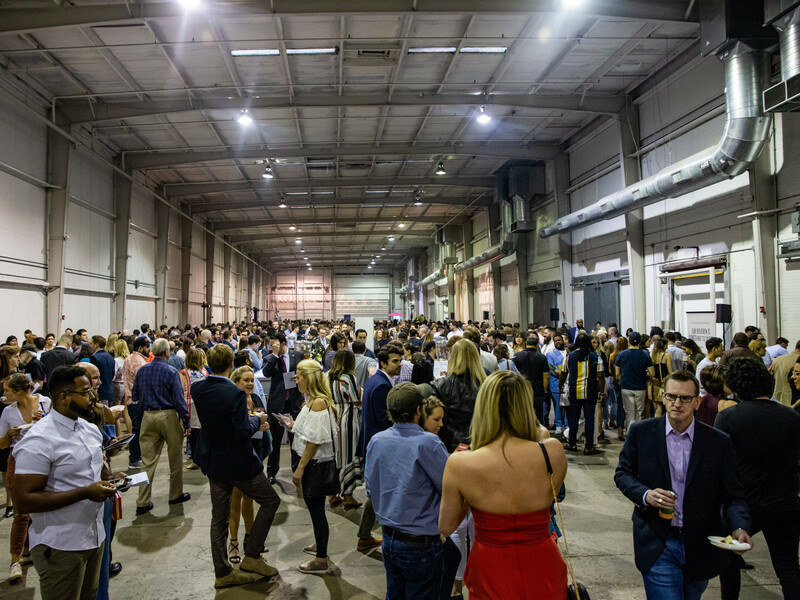 Among the merrymakers were David and Audrey Gow; Jonathan, Michelle, Amy, and Dror Zadok; Ryan Pera; Morgan Weber; Chris Shepherd; Mike Molaison; Veronica Moore; Hal Brock; Judith Piotrowski; Tasos Katsaounis; Linda and Ronnie Nguyen; Joshua Justice; Grover Smith; Ashley and Tyler Horne; Mary Clarkson; Nate Rose; Heidi Aite; Bobby Davis; Felice Sloan; Lindsey Brown; Tiffany Halik; Lisa Gochman; Dominique McGhee; Stuart Rosenberg; Mark Sullivan; Katherine Orellana; Jonathan Babin; Paula Murphy; Sara Jackson; Nick Scurfield; Chelsea Padon; Melissa and Ellie Dobrowski; Ralph Gandara; Trevor Corbell; Taylor O’Hara; and a host of Houston food VIPS and fans. 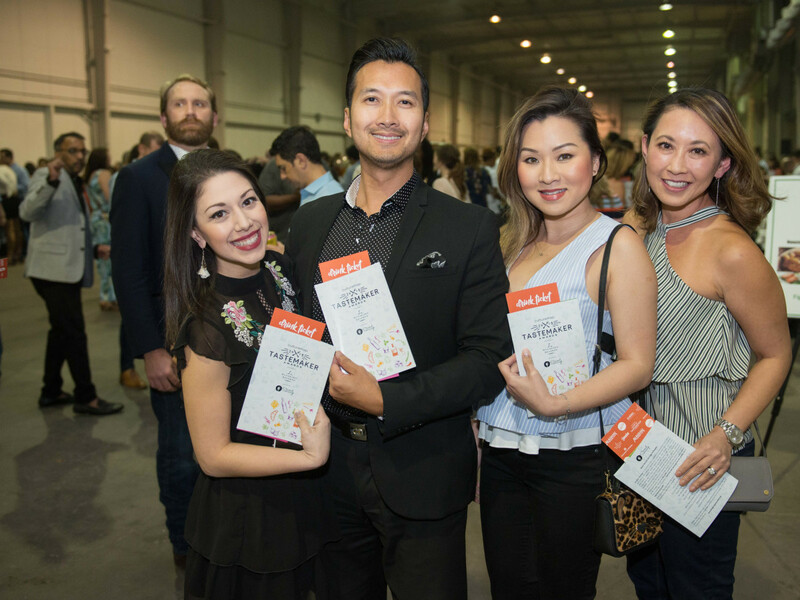 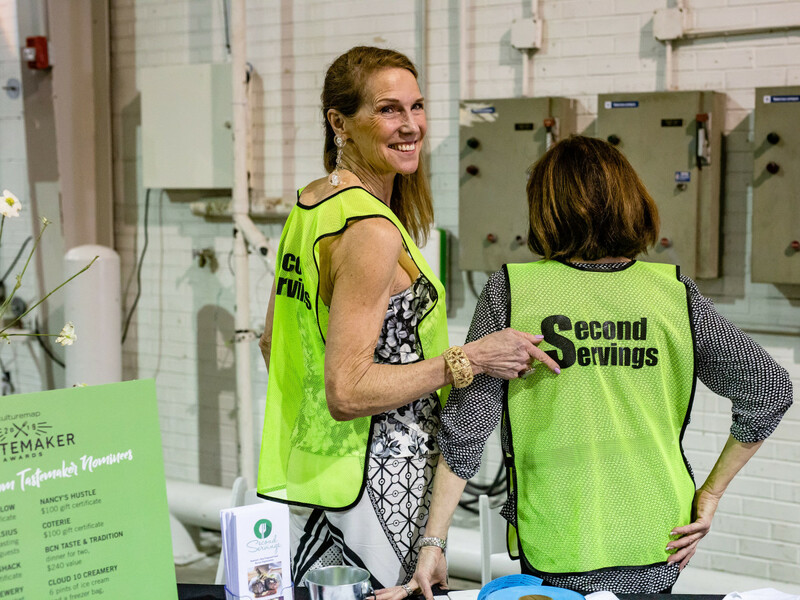 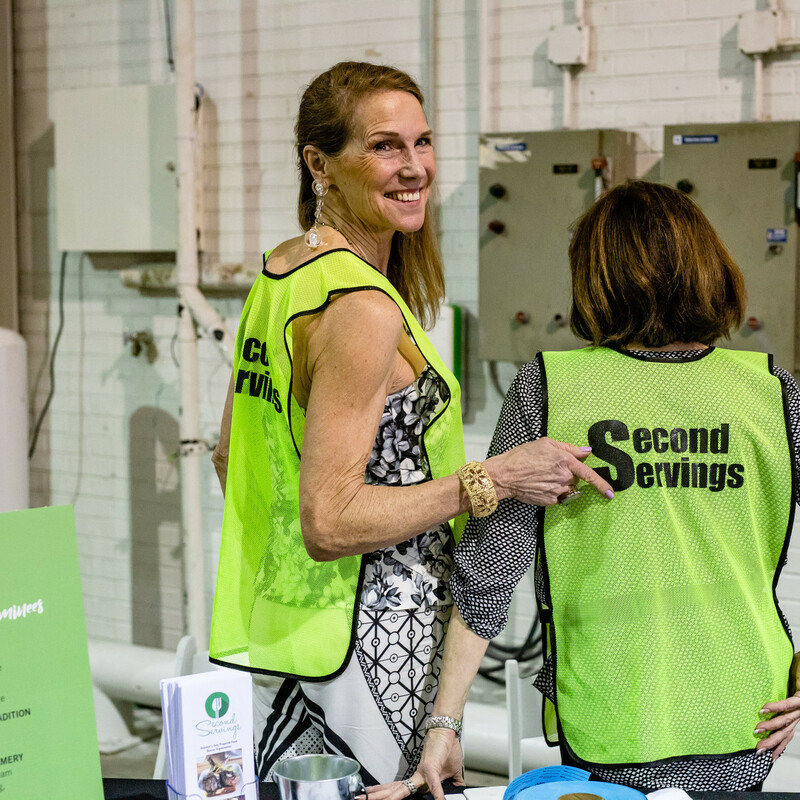 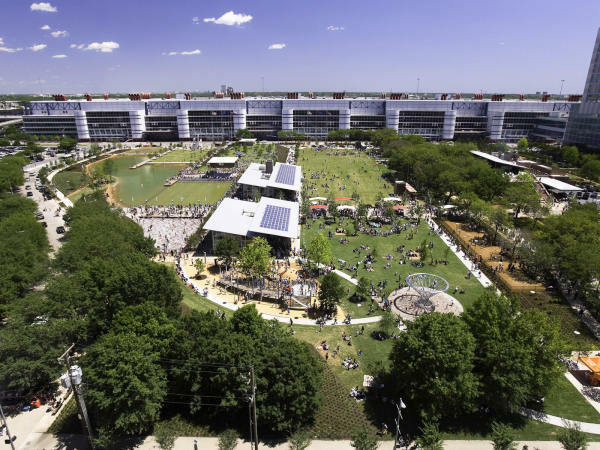 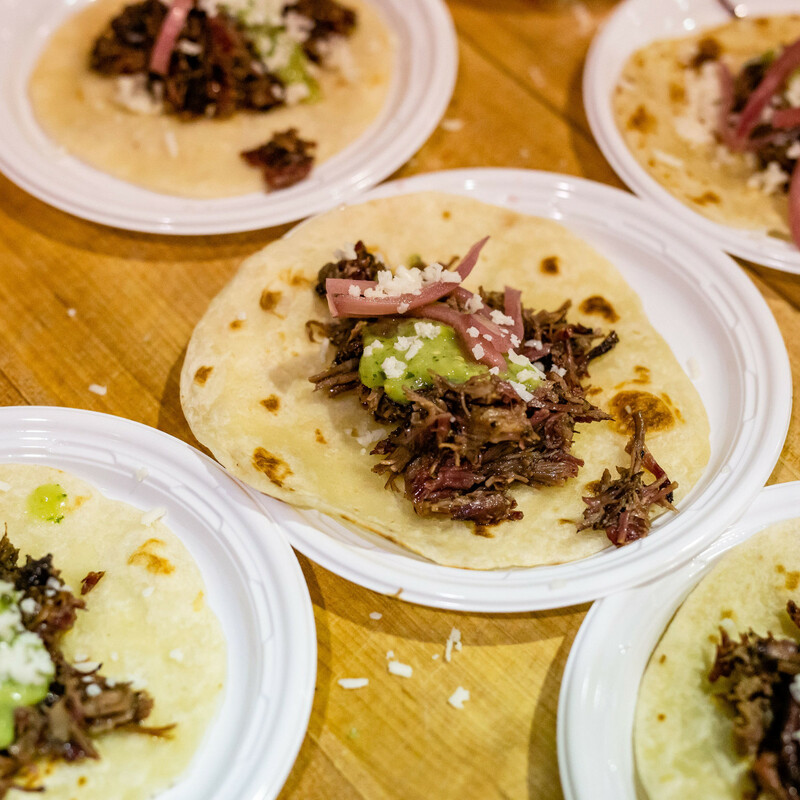 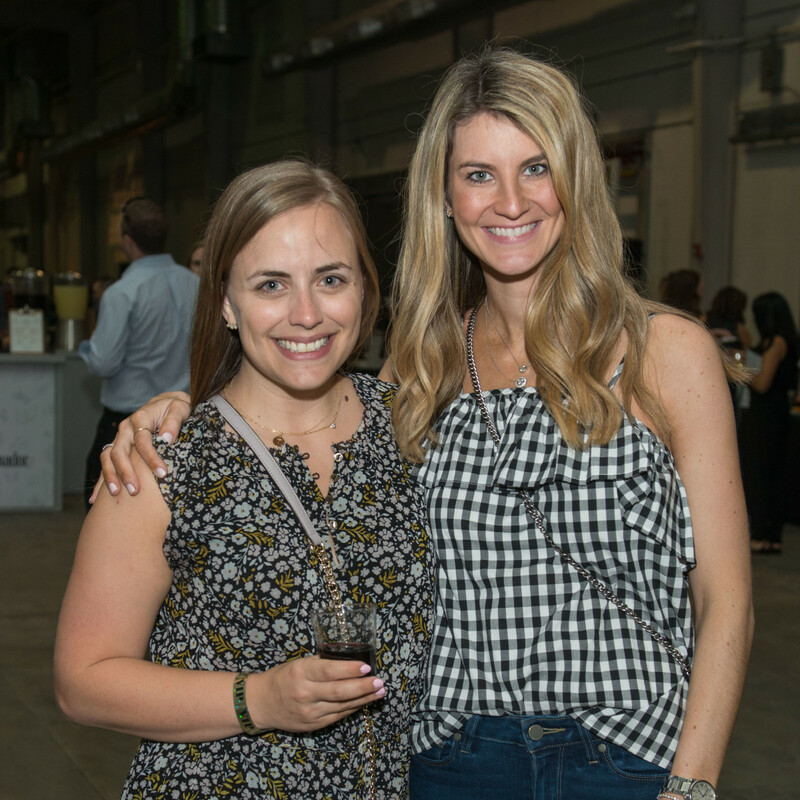 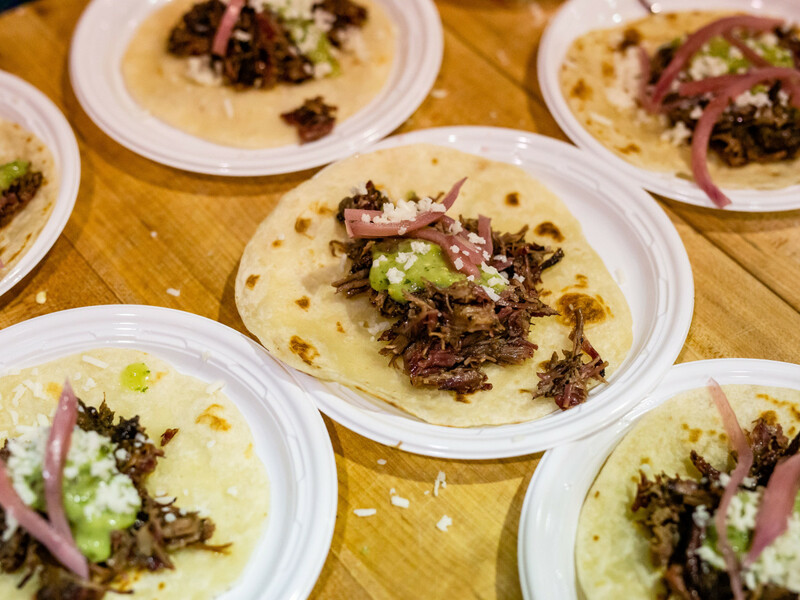 Read up on our full list of winners, make your necessary reservations, and plan to be at the hottest food event in Houston, next year.